In York, Pennsylvania, Angelica Sipe woke to the sound of gunfire. When she went to investigate, she discovered her cat, Opie, grievously injured, yet her son, 3 year old Daemire, sleeping soundly, unharmed, just feet away. 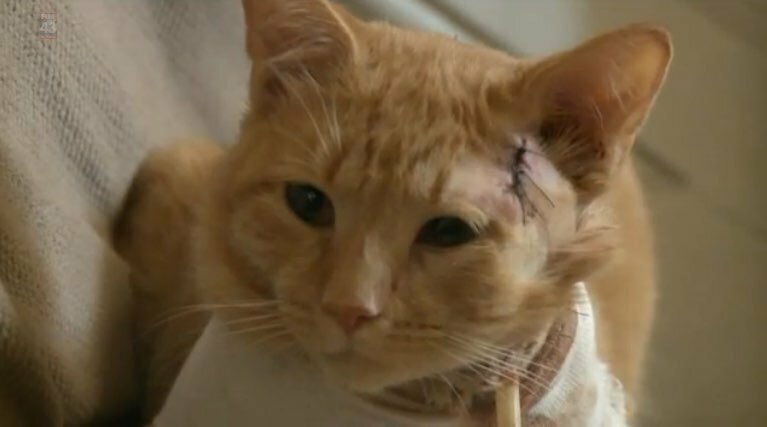 She rushed Opie to the vet, to discover his injuries were extensive. 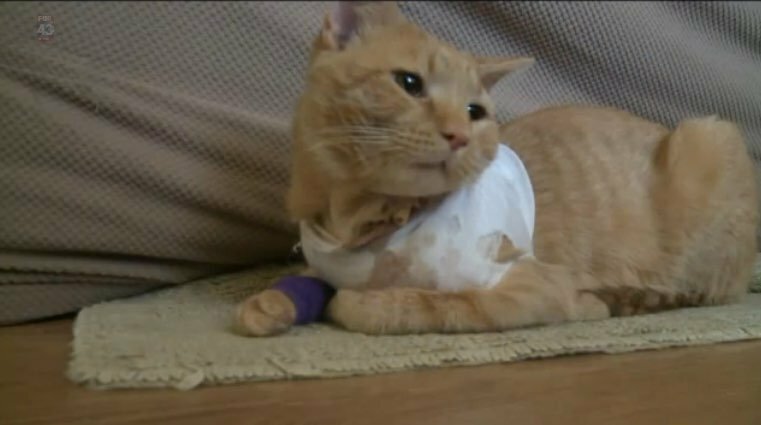 The bullet had ripped through his head, into his shoulder, and out his paw. She made sure they did everything they could to save Opie. She was convinced that he had just rescued the life of her son. Opie survived the ordeal. He is now at home with stitches in his head, a chest bandage and drainage tube, and an arm cast.